Dubai’s status as a leading tourism destination has been further cemented by its high ranking in the latest Top City Destinations report published by Euromonitor International. The emirate was the world’s seventh most popular city destination in terms of international tourist arrivals in 2015. Dubai, which is also the top performing Middle East city in the rankings, saw tourism arrivals rocket 8 percent from 13.2 million in 2014 to 14.26 million in 2015. It ranked just behind Macau, China, which reported 14.31 million arrivals in 2015. However, this figure was down 1.8 percent year-on-year, which gives Dubai leeway to jump up at least another place in the 2016 rankings if the trend continues. The top performing city was Hong Kong with 26.69 million arrivals in 2015, but this figure was also down year-on-year by some 3.9 percent. Cities ranked two to five in the report were Bangkok (+10 percent y-o-y to 18.73 million); London (+6.8 percent to 18.58 million); Singapore (+0.4 percent to 16.89 million); and Paris (-0.2 percent to 15.02 million). Dubai was one of the top 10 cities that outperformed the average increase in inbound arrivals from 2014 to 2015. Growth in arrivals to all top 100 cities in the report increased 5.5 percent on average, while overall global inbound arrivals grew 4.3 percent in 2015. 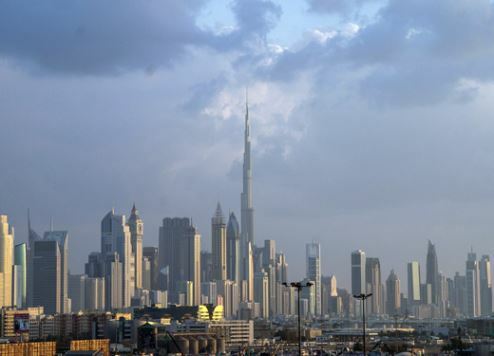 Dubai’s 8 percent arrivals growth surpassed both figures. Euromonitor International attributes Dubai’s robust tourism statistics to its long-term strategy for development. “The city is benefiting from years of extensive investment in state-of-the-art and world-leading infrastructure, luxury shopping, hotels and entertainment,” it says. Although Dubai’s 2016 tourism statistics are yet to be revealed, Dubai Tourism anticipates a jump to between 15 and 16 million arrivals for the full year. The entity has already revealed that during the first 10 months of the year, the number of tourists from India, which is the emirate’s largest source market, hit 1.4 million, up 11 percent on the same period in 2016. The number of tourists from Saudi Arabia and the UK, Dubai’s second and third biggest source markets respectively, both jumped 4 percent year-on-year. Saudi tourism arrivals increased from 1.31 million to 1.36 million, while the number of British tourists increased from 974,000 to 1.01 million. In 2016, Dubai also retained its position as the fourth most popular travel destination globally and the top-ranked destination in the Middle East, according to the eighth annual Mastercard Global Destinations Cities Index. Bangkok topped the list of the world’s most popular travel destinations, pushing London to second spot, with Paris and New York placing third and fifth respectively. The Index provides more than a ranking of the 132 most visited cities around the world. It projects visitor volume and spend estimates for the 2016 calendar year, while delivering a deeper understanding of how people travel. As cross-border travel and spending continue to grow at a faster pace than global GDP, the world’s cities continue to be engines of broader economic growth. Dubai ranked first in terms of international visitor spending with $31.3 billion, easily surpassing second-placed London, which attracted visitor spend worth $19.8 billion. “The findings of the Index show that Dubai is firmly entrenched at the high table of global tourism and travel,” says Eyad Al Kourdi, senior vice president and general manager, UAE, Mastercard. Dubai is also one of the safest cities in the world, which is regularly cited as one of its most appealing attributes for leisure and business travellers alike. A recent report carried out by the World Economic Forum (WEF) ranks the UAE as the third safest country in the world, behind Finland and Qatar respectively. The Global Travel and Tourism Competitiveness Report 2015 says: “While the UAE does not have rich natural resources (95th), it has built a unique environment to attract both business and leisure travellers. From Expo 2020 Dubai to the construction of the Louvre and Guggenheim, the UAE is investing in and giving significant importance to the development of the T&T [Travel and Tourism] industry."